With the holidays coming to an end and the New Year approaching it is the perfect time for a winter getaway. There is nothing as rejuvinating as slipping away to a quiet, sunny beach to relax and reboot before the winter months really set in. One of my favorite things about traveling is finding the perfect space to escape. 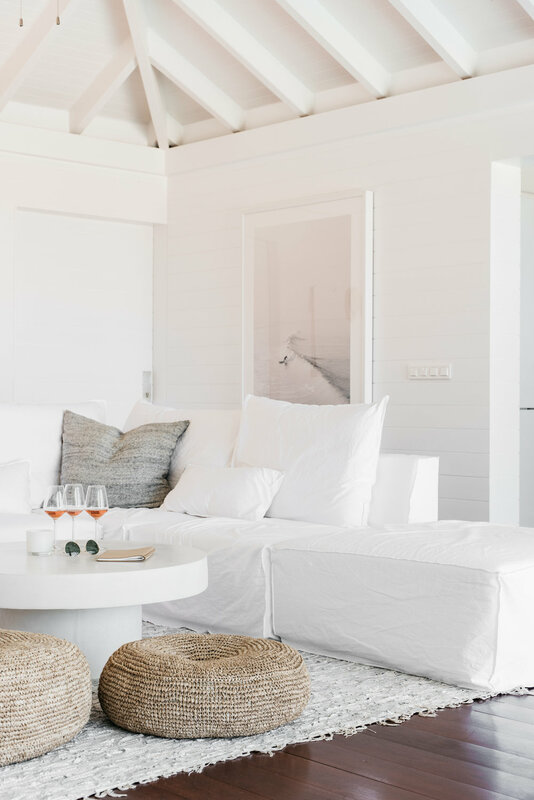 Whether it is a boutique hotel that represents the city I'm visiting or a light and airy villa that seamlessly combines indoor/outdoor living in the islands. 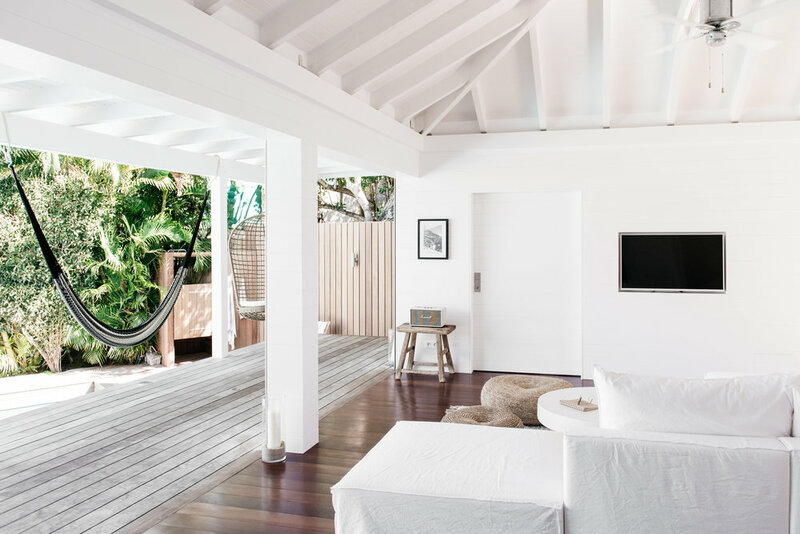 I came across Villa Palmier in St. Barth a while back and since then I have mentally escaped to the villa through the designer's soothing images. The design of the villa speaks to my version of the tiny island: chic, serene and peaceful. 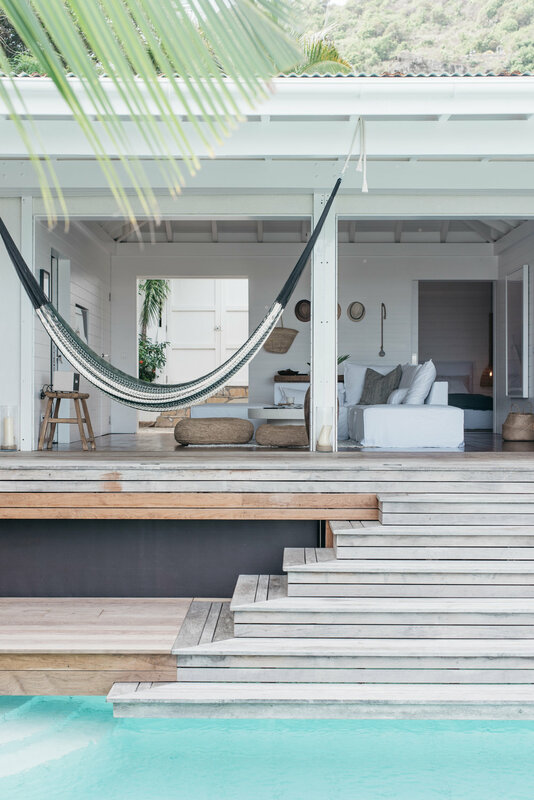 With a minimal and simple design, the villa sits perfectly overlooking one of the main surfing beaches ideal for curling up in one of the hammocks, disconnecting and enjoying a good book. 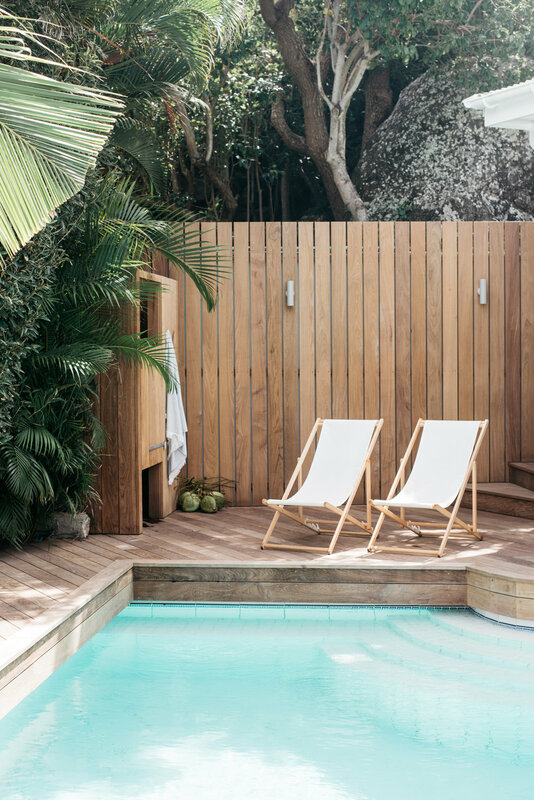 I had the opportunity to chat with the designer and photographer Kate Holstein about the villa and how she came to love the island and create such an inspiring oasis adding to the magic of St. Barth. 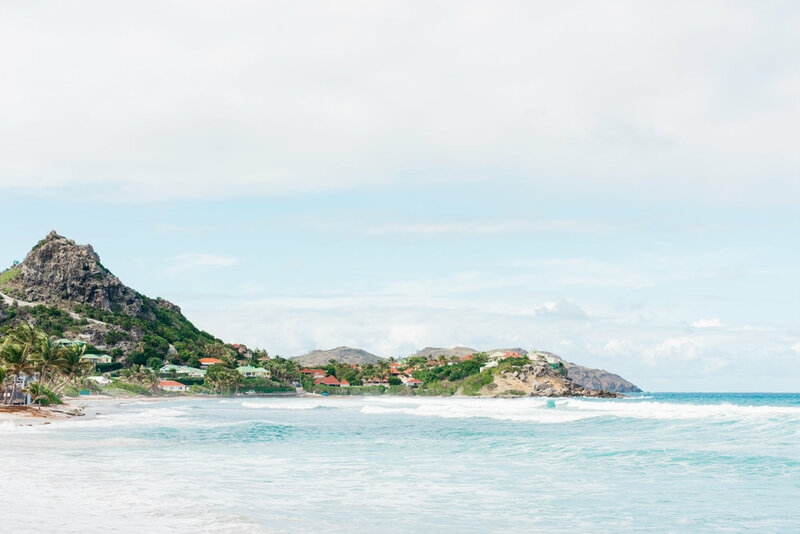 When was the moment you fell in love with St.Barth? It was love at first site. To get to St. Barts you take a very small plane from the island of St. Martin, which is a quick 15 min flight away. You see the whole island from the air before you land and it couldn't be more aesthetically pleasing with its bright turquoise water, white crescent beaches, and red roofed houses. 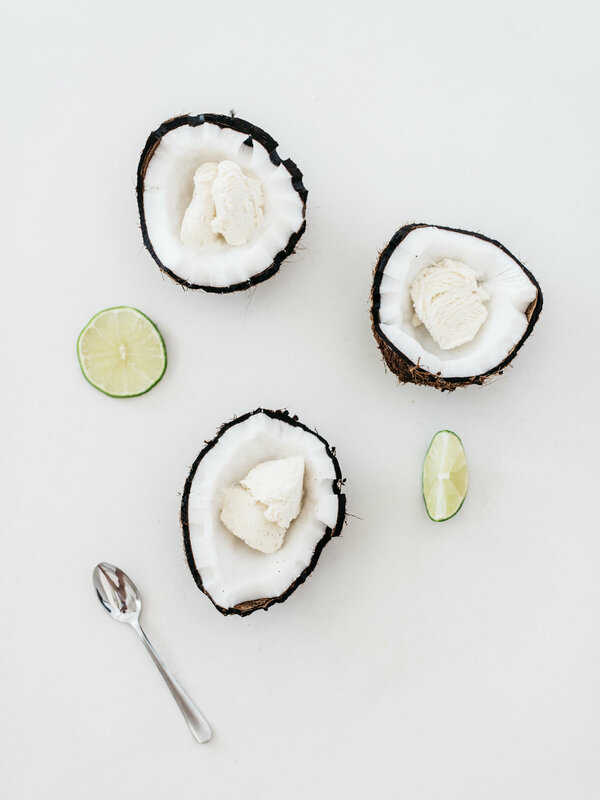 Once you land you're greeted with a warm tropical breeze, the smell of freshly baked croissants from the local boulangeries, and the lovely sound of French. There's not a single traffic light on the island or high-rise hotel. Everything is small, quaint and exquisitely designed. I couldn't have dreamed up a more magical place! What was your goal when designing the villa? 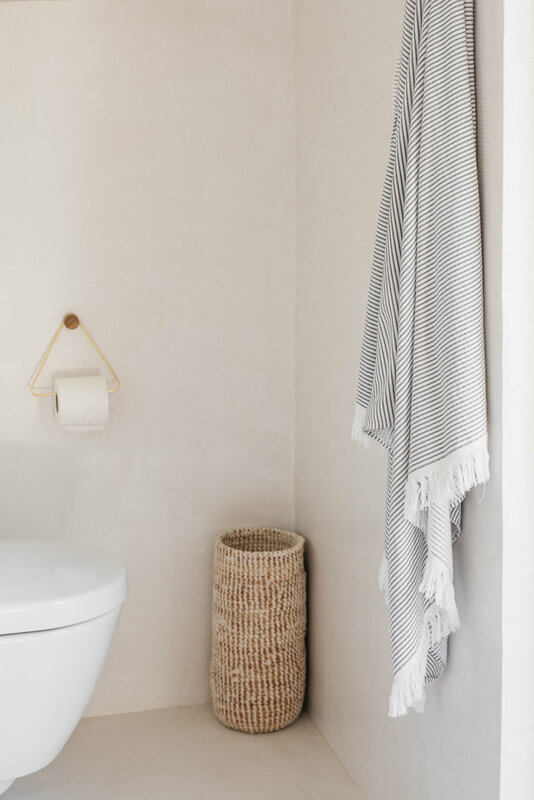 We wanted to create a retreat that was comfortable and simple with an understated elegance. 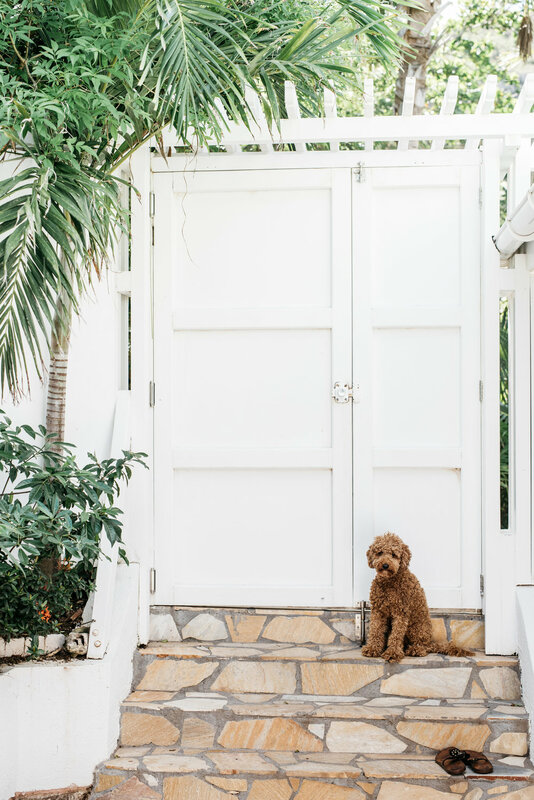 Incorporating the surrounding natural environment was a driving factor since the climate of the island allows for seamless indoor outdoor living. We used a neutral color pallet and natural materials like wood, linen, straw to invoke a sense of serenity and simplicity. 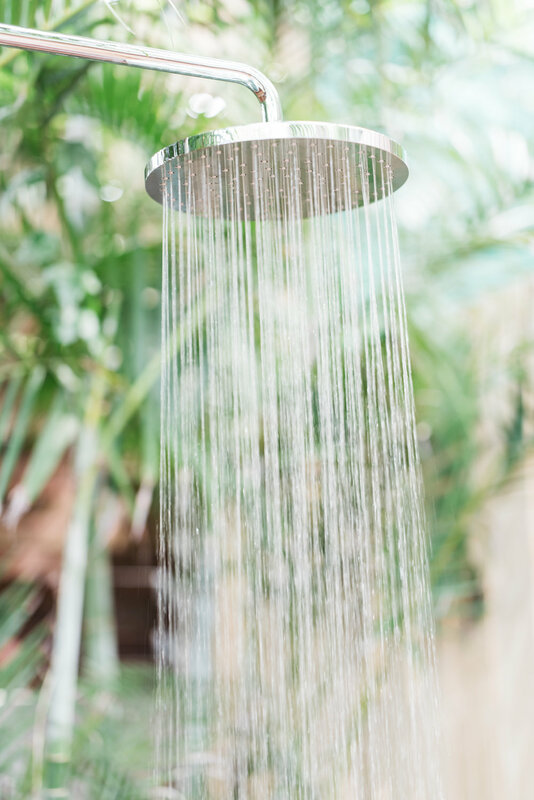 Ultimately, we wanted it to be a place where we could unwind, disconnect from a hectic world and re-connect with ourselves, family, friends and nature. What inspires you the most in your work as a photographer? The natural world. I love organic shapes, natural light, and a soft color pallet. When shooting interiors, I like to show them as they'd be lived in, with a bed unmade, or a glass of wine on the counter and a pair of great sandals by the door. Every object in the frame is an element that matters and portrays a certain mood, so I pay very close attention to details. Where is your home base... and is your home as dreamy as the villa?! I'm based in Aspen Colorado. Our home here shares a lot of the elements of the St Barts house (neutral color pallet, organic materials, collected objects, etc) but with more of a nod towards the mountains. 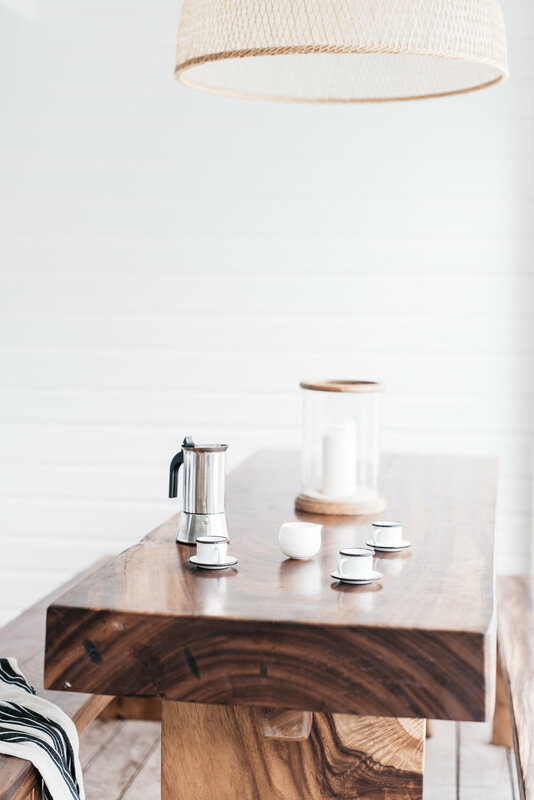 Both my husband and I believe in curated spaces where every part of the house has a story, a purpose, and aesthetic appeal. This ideology was a driving force for both our home in Aspen and St Barts. 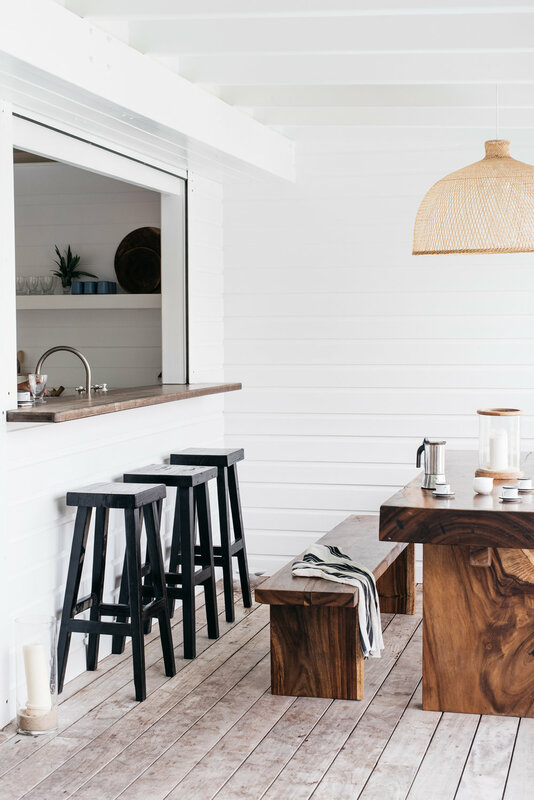 Timeless, relaxed, organic beach house with found objects and a nod to French culture. Favorite room in the villa? The main living room is pretty spectacular. It's completely open on two sides so there's always a sea breeze blowing through and you can see the ocean and hear the waves while relaxing on the couch. The living area opens out onto a covered deck where we have a hammock and hanging chair overlooking the pool. Both are the perfect places to settle in with a good book and listen to the waves. What are your favorite pieces in the villa? I love our Ay Illuminate lamps that hang on each side of the master bed. The living room couch is a beautiful white linen Gervisoni that I custom created. There are a lot of unique collected pieces throughout like sun hats, baskets and art (including my photography). 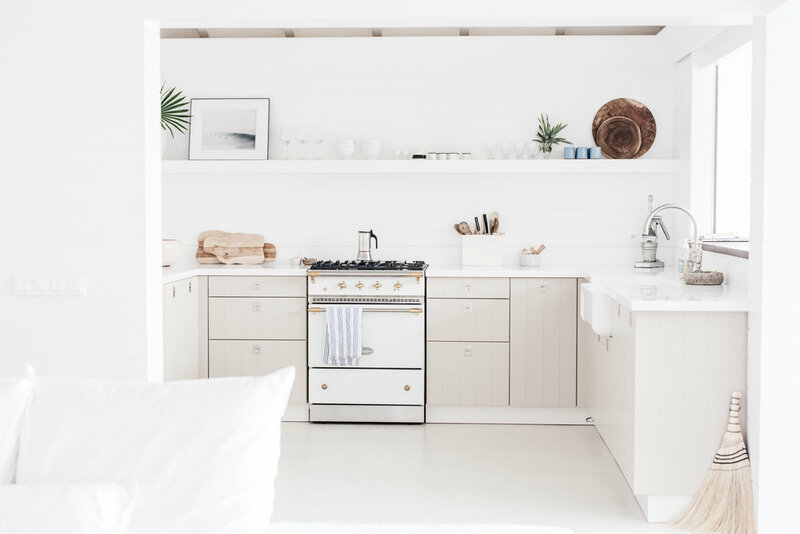 Probably my most favorite piece in the villa is our Lacanche range in the kitchen. 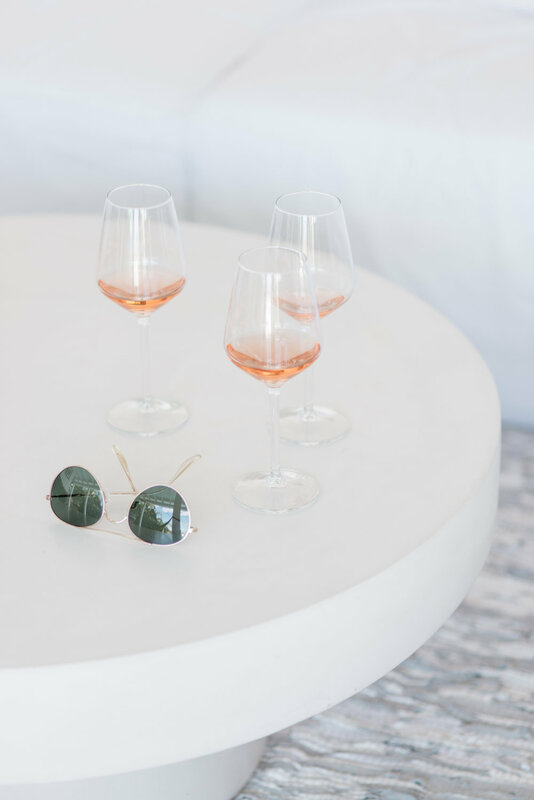 We love getting fresh fish from the fish market on the docks in Gustavia and sautéing it up with a bottle of rose for the perfect simple yet elegant dinner.